Happy π Day! Are you ready to party like a pastry chef? Or a pie eater? 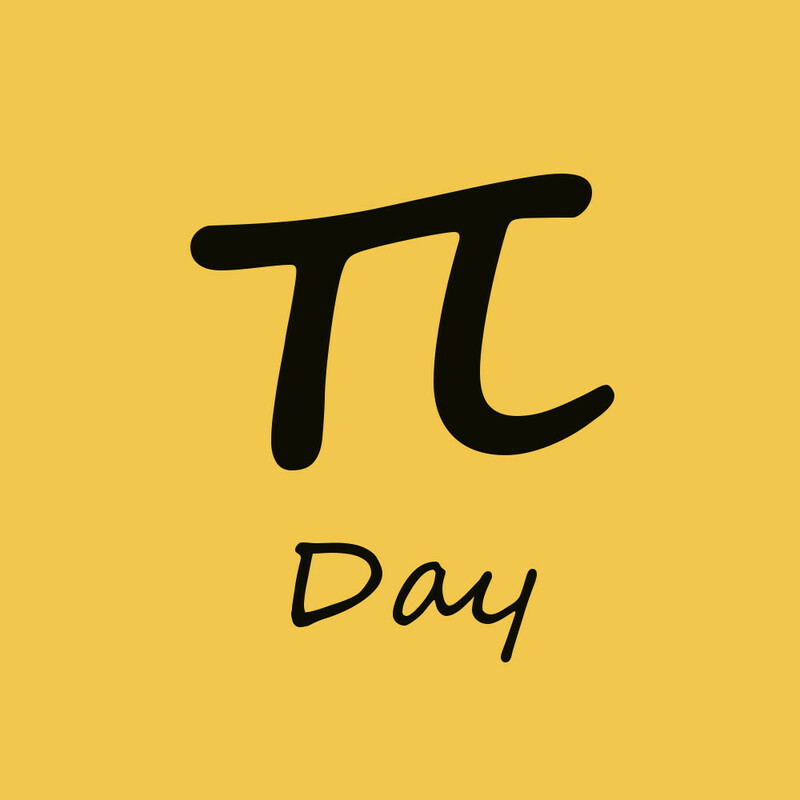 Today at 9:26 a.m. plus 53 seconds, the date and time will give us the first 10 digits of the number π which we spell as Pi, which is pronounced just like Pie. So the foodies among us tend to celebrate the day with food rather than algebra. Specifically, pie. For my own celebration, I made a cheesecake (because cheesecake is more pie than cake) from the book The Great Big Pressure Cooker Book . It's not a pie book, or even a baking cookbook, but I really liked the cheesecake recipe. I wrote about that book here, along with the recipe for the cheesecake.. 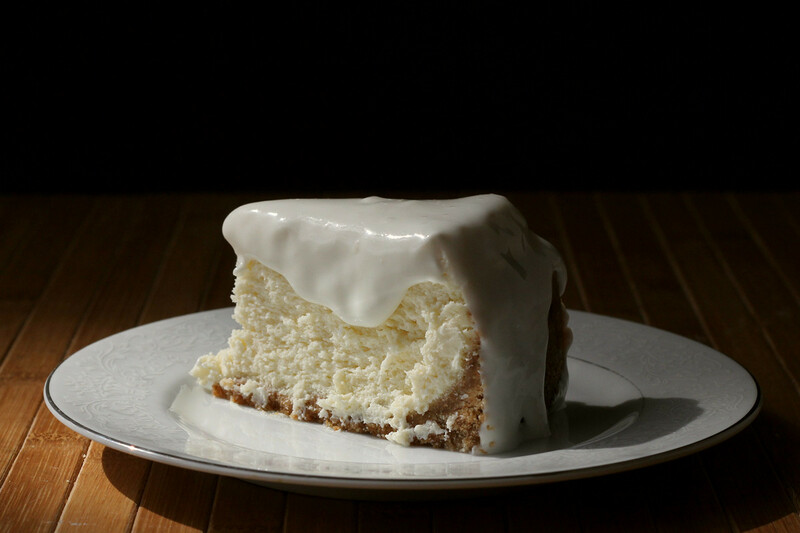 The first time around, I used the basic recipe in the book, but this time around, I used the alternative method of whipping the cheesecake filling before cooking, to make it more fluffy as opposed to more creamy. It was good ... it was more of a New York style cheesecake - light and fluffy and airy. But I'm a midwesterner, so I prefer the creamy version. I'll be making it again, I'm sure. But I wouldn't refuse the fluffy version, if someone served me a slice. Here's the whipped one - I topped it with a sweetened sour cream, because I felt like it. That's my pie, but how about some books about pie and pastry? I've got a ton of general baking books, and baking books that exclude pies, but not that many that are only about pies and pastries. The Complete Book of Pastry by Bernard Clayton Jr.
Pie it Forward was the book I wrote about for Pi Day in 2012, and there's a lovely blueberry pie recipe on the post, too. Mmmm. Pie. The Norske Nook Book of Pies by Jerry Bechard and Cindee Borton-Parker. So, now it's your turn. Do you have any other pie books that you recommend? Tell me about your favorites in the comments, and feel free to link to any reviews you've done. For a whole bunch of pie recipes, check out today's post on Cookistry, where I have 55 pie and pie-related recipes!